Rainbow Road — Island Red Cedar Construction Ltd. This house juts out over a steeply sloping rocky outcrop in a 1980's era development of town. The forty plus years of weathering and neglect had taken its toll on the integral support posts of the house and some had started to fail. 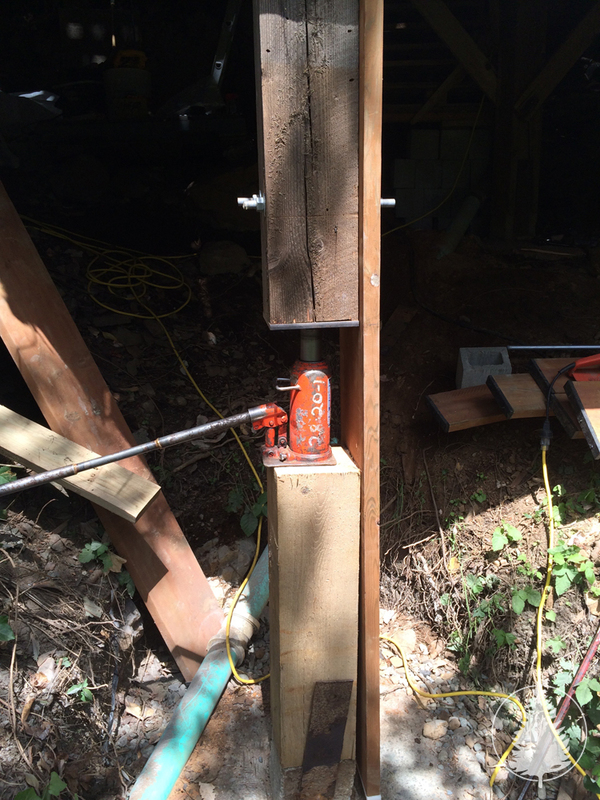 We worked with an engineer and the homeowner to remediate the posts and shore up the foundation columns and supports to ensure that the house has many years of support left. Not a pretty job but a very important one to the structural integrity of the house and the peace of mind of the owner. "What I appreciated most about Island Red Cedar was their professional approach to every aspect of the project as well as all the extra time and attention to detail. Sean took the time to discuss and explain all aspects of the job with me and was flexible with the work, allowing me to help where I could with the project. ‘Helping homeowners’ are usually not much of a help but he allowed me to pitch in where I could and it was greatly appreciated. “Island Red Cedar was the first contractor that I have ever had to hire and, despite coming from a background in the building industry myself, the overall scope of the project was a bit daunting for me. Everything went very smoothly and was handled with professionalism by everyone at Island Red Cedar. I am very satisfied with the results and workmanship and look forward to contracting Island Red Cedar again for future projects."